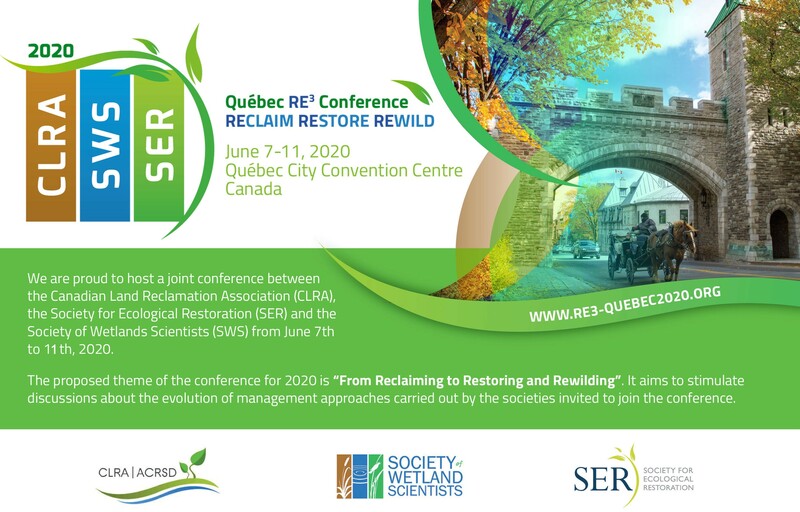 We are proud to announce a joint conference between the Canadian Land Reclamation Association (CLRA/ACRSD), the Society for Ecological Restoration (SER), and the Society of Wetlands Scientists (SWS). The proposed theme for 2020 is "From Reclaiming to Restoring and Rewilding". It aims to stimulate discussions about the evolution of management approaches carried out by the societies invited to join the conference.